the 'Name That Frame' Game. Okay. I need your help. 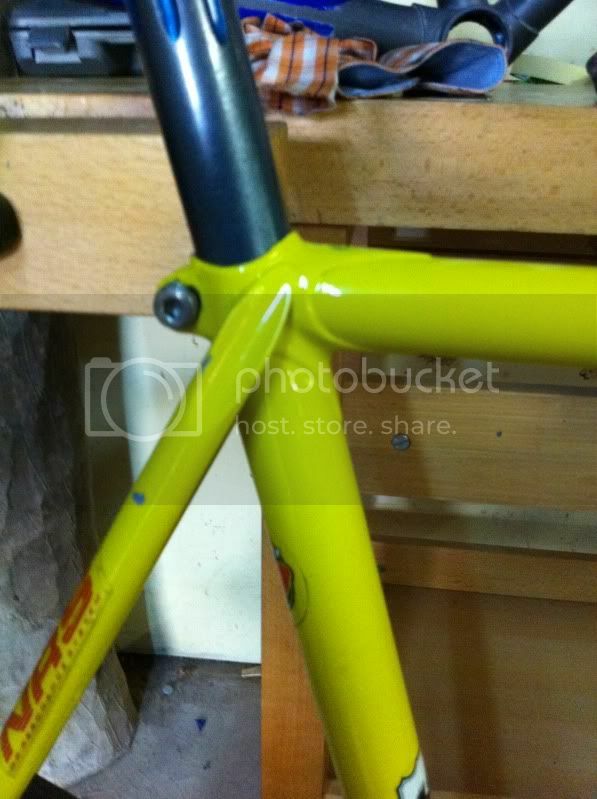 I have a track frame and I would like to identify it. Previous seller had very little information in regards to who built it. Double Crown Track forks with orange stripe stickers on top of the fork crown on either side. Really Tight Clearances, Less then 1cm on fork crown to tyre and wheel to down tube. And the same from the rear wheel to seat tube. I will email the guy I bought it of and see if he remembers anything. Seriously, no idea. Contact Hillman, see what they have to say. If no dice, paint it up and leave it. Or put whatever stickers you want on it!! It’s a nice frame regardless of what it is. Edit: 316 isnt that a grade of steel??? Or tubing. Can’t remember off the top of my head. The 57 on the BB shell would be the size??? I think so too. Lugs points are thinned down a little, seat stay caps & track ends are nicely finished. 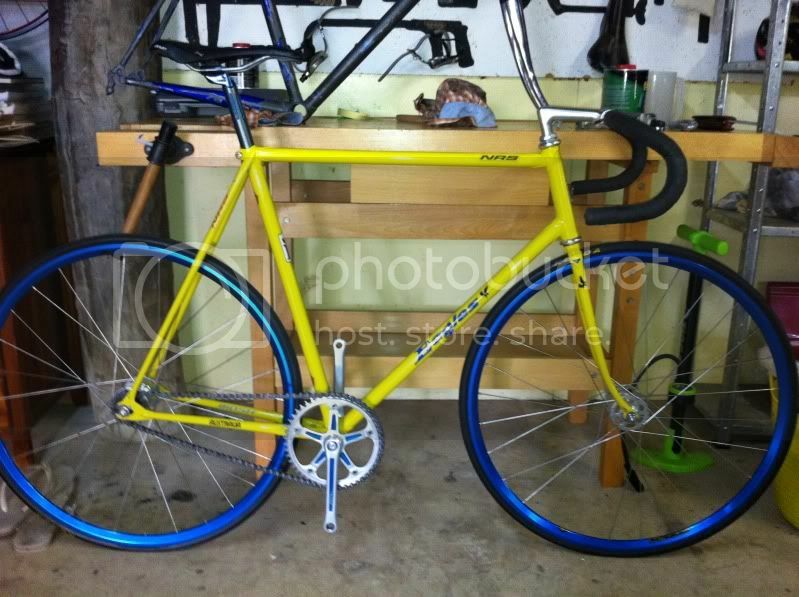 I had a frame with that exact fluro yellow and colnago stickers. Not sure what it was either. i’m going to sticky this thread so everyone can put their unknown frames in it. good idea! My beater also has champion stamped on the bb. Same dropouts. Different lugs (diamond cut outs) & fork crown. Different seat junction. 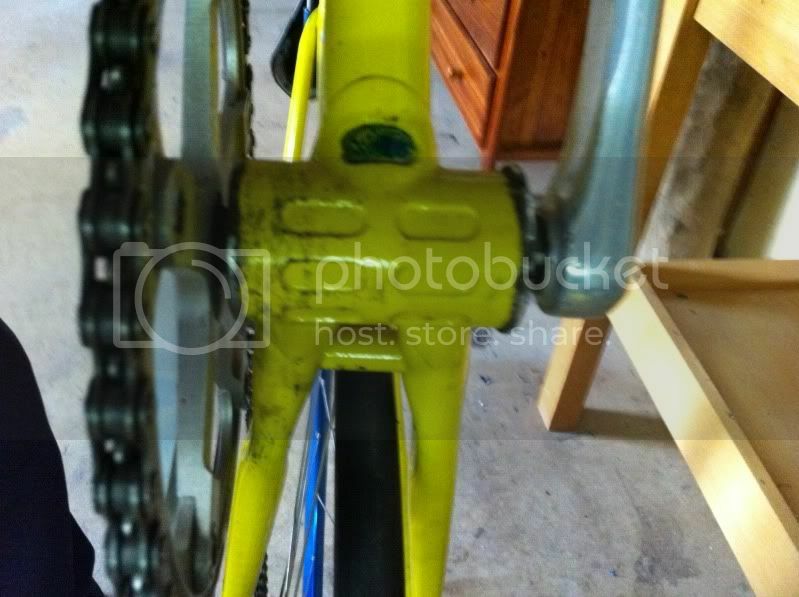 Also, it has RC stamped on each fork shoulder. I can get detailed pics if you want. 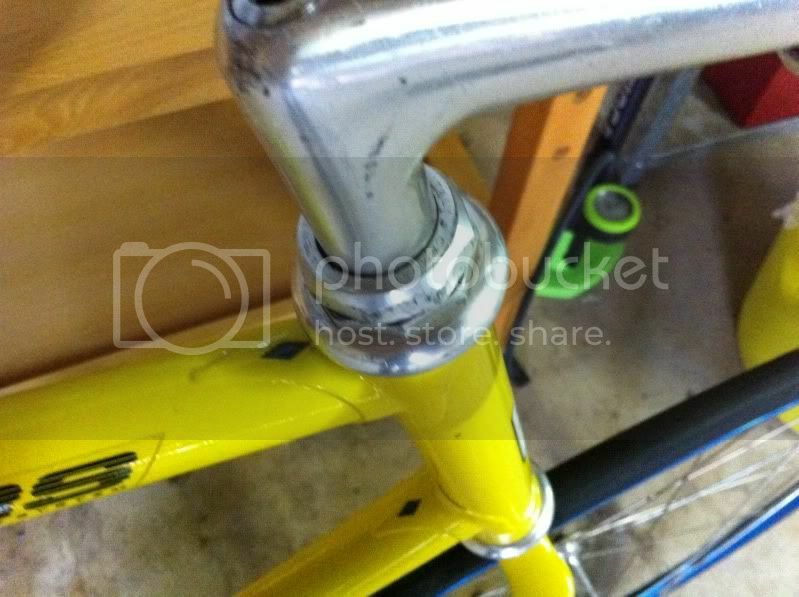 I think Mr Wigham did wrap around seat stay ends where it meets the seat post, so could be a Paconi/Cecil Walker/Blucher Koln, but this detail was not exclusive to his frames. immediate bans for anyone making the mcbain joke? My guess is some aussie builder. Who? You may never know. 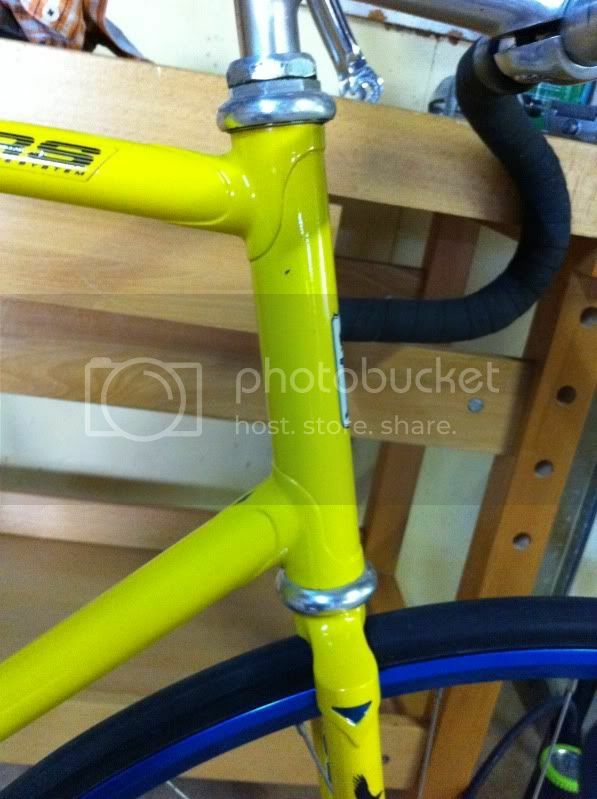 What you have is a steel track frame with some nice finishing/details. Enjoy it for what it is, not what it might be. On a side note, whatever you used to strip it must have been rough!! nope paint stripper. Why must it have been rough? and yeh I will just build it up and let it join the world of the unbranded frames. Good idea on the sticky. ^ the metal finish on the BB does not look that smooth. I would say its due to poor casting rather than poor paint stripping!! I noticed it on more then the bb, looks like lots of little dimples evrywhere. Wire brush?